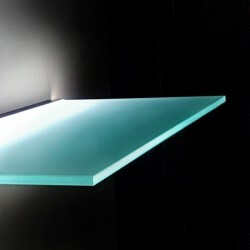 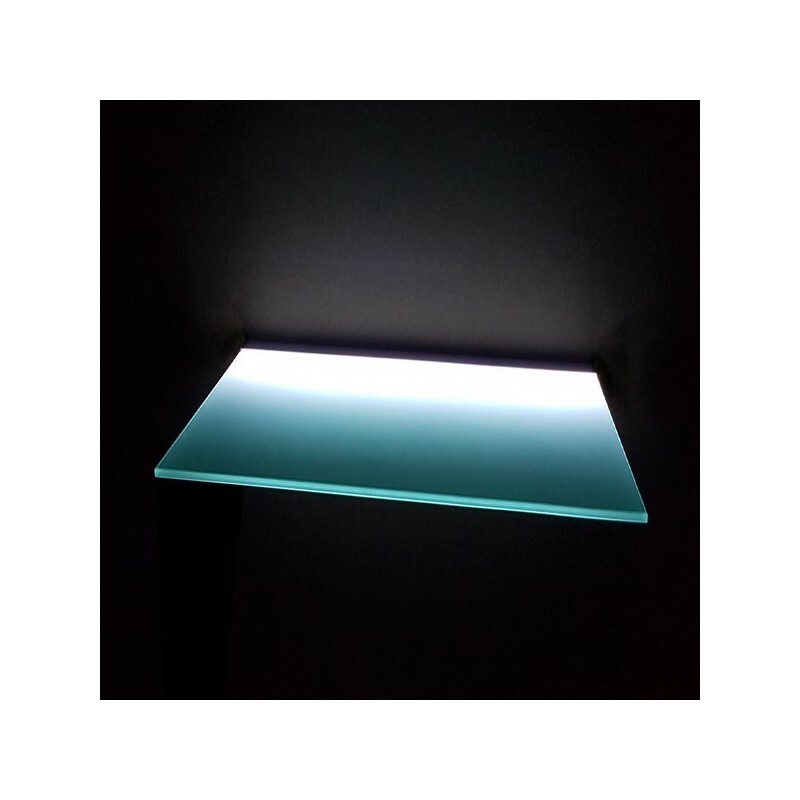 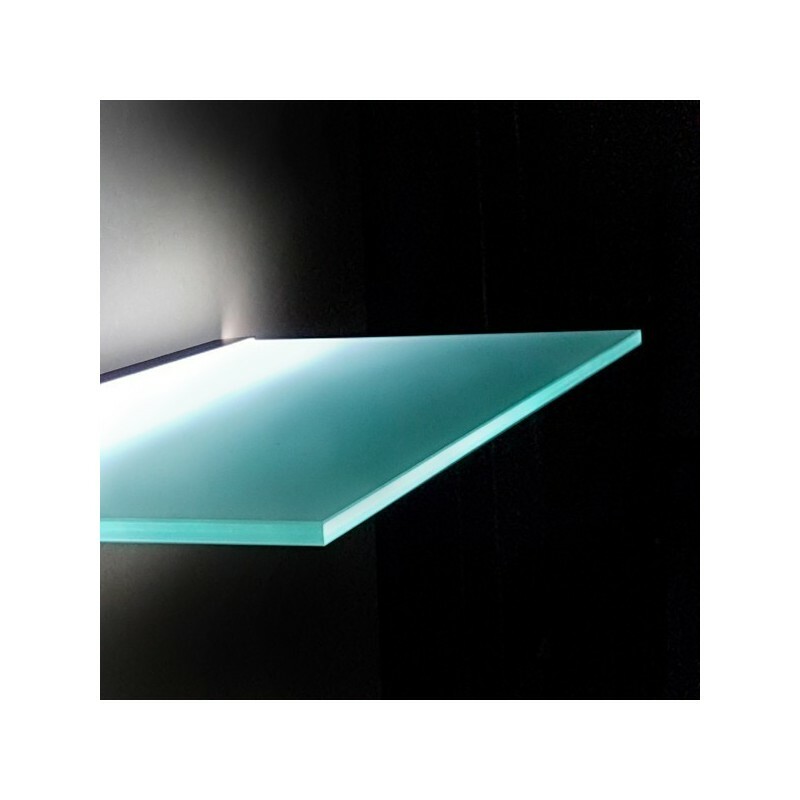 Lighting Galss Shelf with Toughened safety Glass & Aluminium bracket. 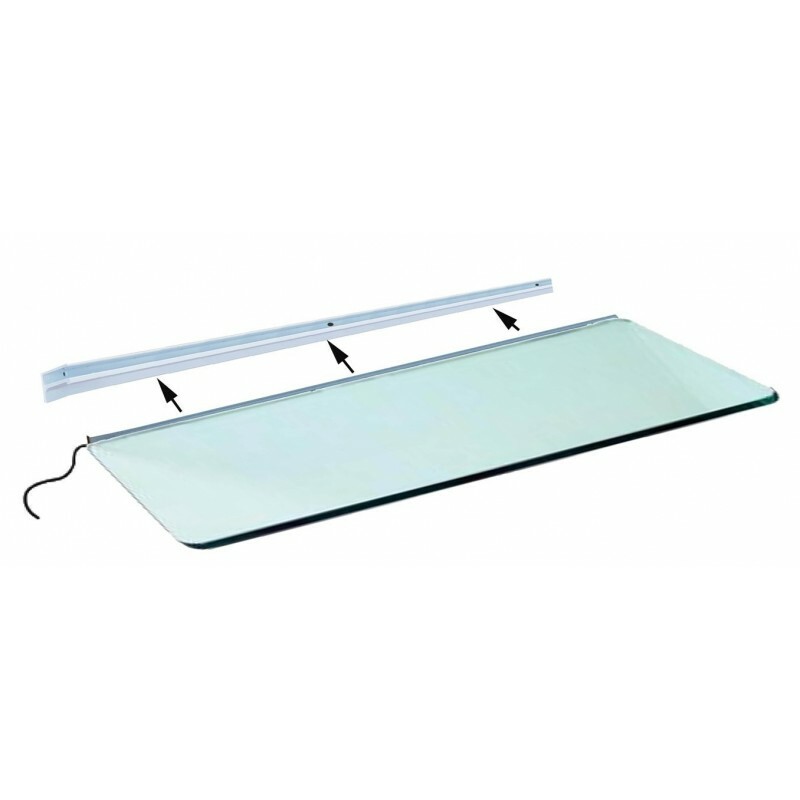 Can hold up to 20 KG per meter if wall is strong. 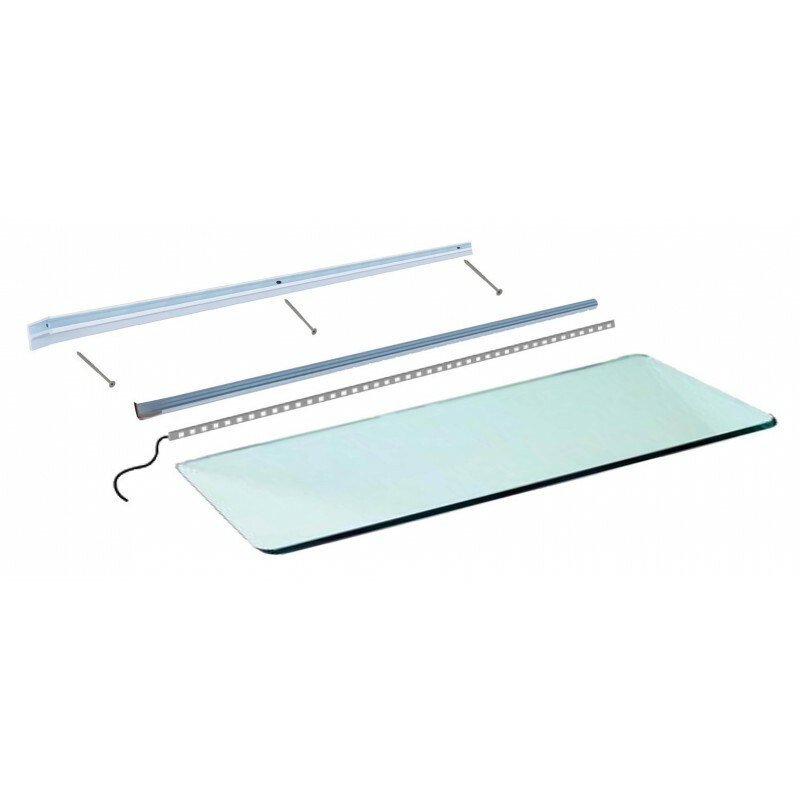 You can increase the load capacity to 50 KG per meter by adding side supporting steel cables.